A free, 35-page downloadable guide with everything you need to inspire even the busiest people to participate. It includes an overview of how a Church Groopit works, an organizer check-list, plus detailed how-to instructions and content you can use. Download it now. Thank you for your request. 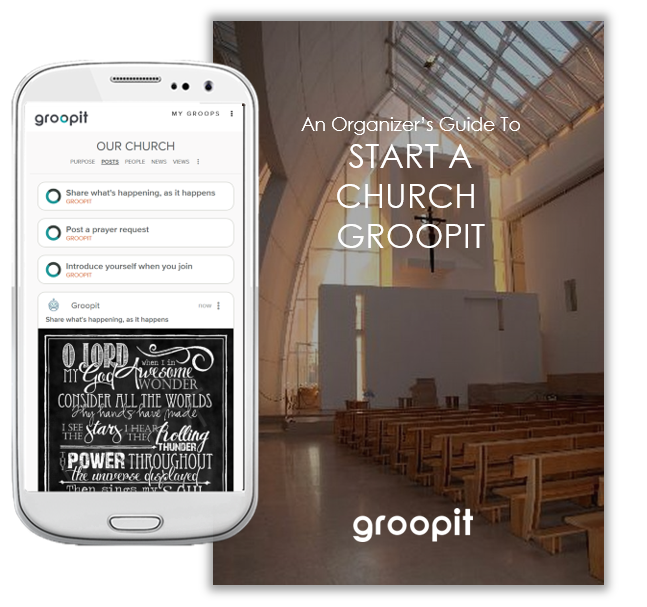 Click here to download An Organizer’s Guide to Start A Church Groopit now.